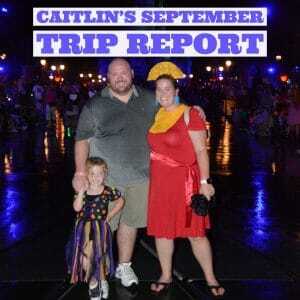 Caitlin recently returned from her September Disney World trip that included staying in an All-Star Music suite, lots of character meals, a dessert party, and lots more. Hear how it went in this trip report. I also have a quick tip for people planning to use a stroller during their trip. 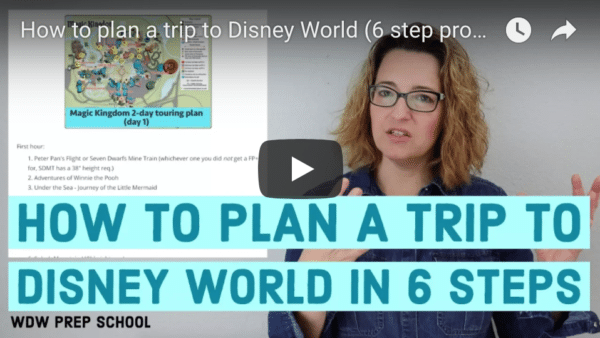 "I recently had someone tell me that while they were at their Disney resort, they noticed that the tire on their stroller had leaked air and was almost flat. They went to bell services and were told that most resorts have air pumps and can blow the tires back up for them, but that their’s currently wasn’t functioning. However, they said that the parks also have them! They were able to go to the stroller rental at the entrance to the park, and they blew the tire up for them. Super helpful if you have a personal or rented stroller at the park that just needs a little air."